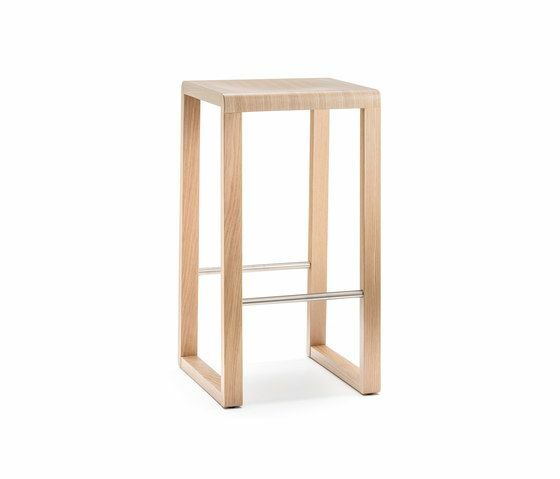 Brera barstool has compact shape and essential lines. A versatile seat ideal for small and informal spaces like the cafés and restaurants of the picturesque Milan district. Made of solid oak with a stainless steel footrest. Available in three heights and in different finishes. Materials and Technologies: Solid oak structure, plywood seat. FSC Finishes: Bleached oak, wengé or light grey stained oak.